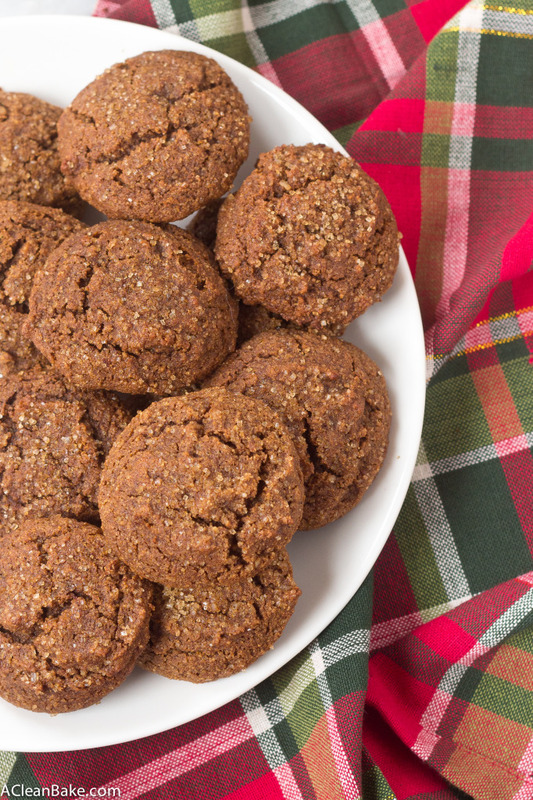 There is absolutely nothing better during the holidays than pungent, spicy gingerbread cookies. 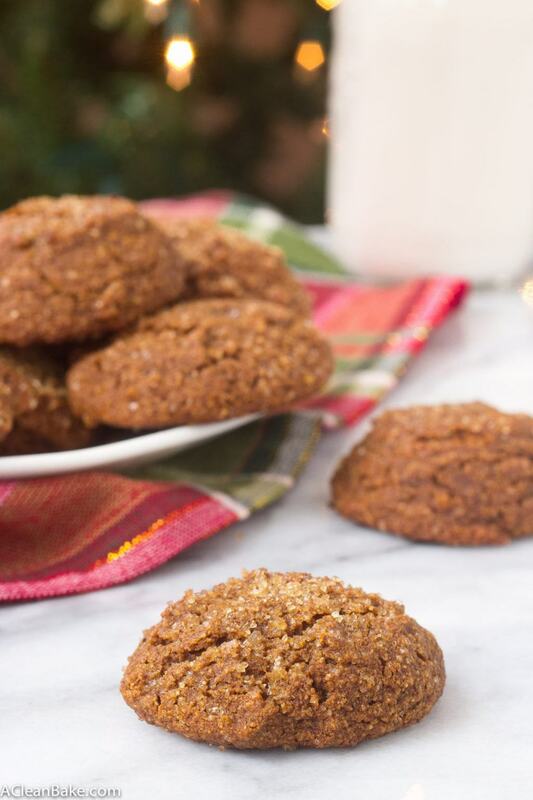 These aren’t the tense, crispy cookies that put the “snap” in gingernaps; this version is soft and airy, snappy only in flavor. 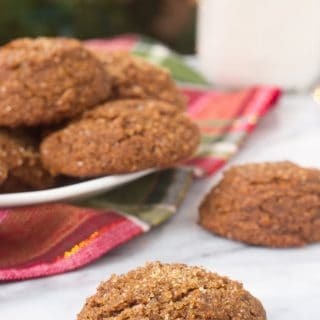 It’s always dangerous when I get something in my head that I can’t get out, because it usually ends up with every surface in my kitchen covered in grain-free gingersnaps. 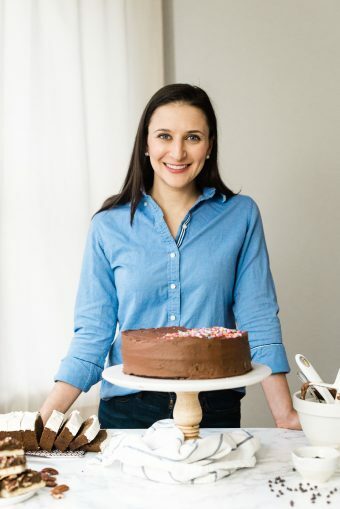 After countless batches that just weren’t right, I finally figured out that the secret is tapioca starch (If you prefer not to use it, there are alternatives in the recipe notes). It softens and tenderizes the cookie, making it pillow-y soft when you bit in to it. Typically, cakey cookies aren’t my thing, but as a certified lover of dense, chewy cookies to say that these are delicious should mean something. If you happened to be checking the site on Saturday afternoon, you may have had a sneak peek of these cookies, and I hope the half-baked, recipe-free post that I published accidentally because I can’t read button labels in my current state of sleep deprivation and burnout sufficiently whetted your appetite. So, now that I have left you hanging since last weekend, I guess it’s time to actually share the recipe with you. Here you go! Preheat the oven to 350F. Cover a large baking pan with a nonstick pad or parchment paper and set aside. In a large mixing bowl, whisk together the dry ingredients (almond flour through cloves). Set aside. In a smaller bowl, whisk together the wet ingredients (eggs through butter or oil). Pour the wet ingredients into the dry and stir to thoroughly combine, scraping the sides and buttom to make sure all ingredients are incorporated. If your batter is too thin, set aside for 5 minutes to allove the coconut flour to absorb the liquid. Use a spoon or cookie scoop to make 1 Tablespoon balls of dough and place about 2 inches apart on the cookie sheet. Sprinkle tops with additional sweetener if desired. Bake for 13-15 minutes, and cool 5 minutes on cookie sheet before transferring to a wire rack to cool completely. If you don't want to use tapioca/arrowroot, or don't have it on hand, add 1 additional Tablespoon of coconut flour to replace it. Natvia is my favorite!!! These look phenomenal! My mouth would really like about 5 right now!